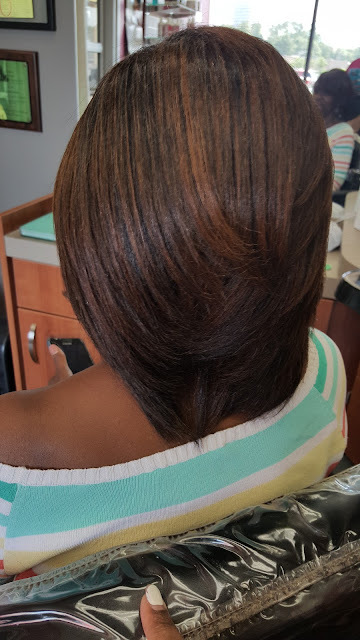 When wearing a wrap hairstyle, you do not necessarily have to wear it bone straight all of the time. You do have a few options. 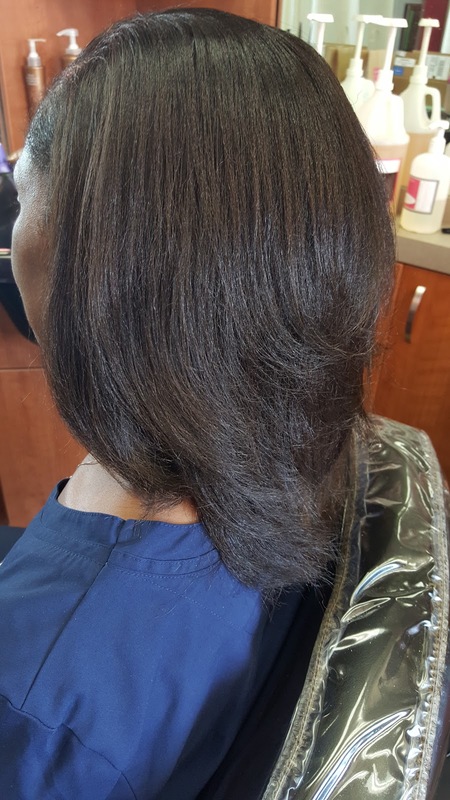 If you are anything like me, you may feel like the straighter the hair the better, but others may want a little something extra. 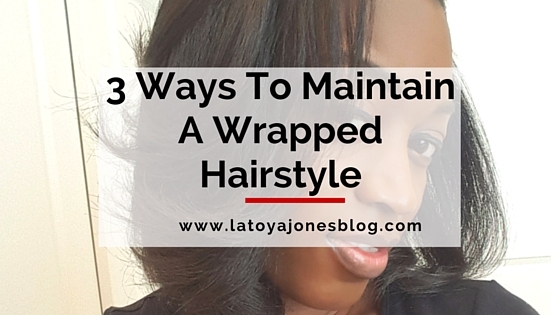 Today I want to show you a few different ways to maintain your wrapped hairstyle. And the great news is that none of them require heat! 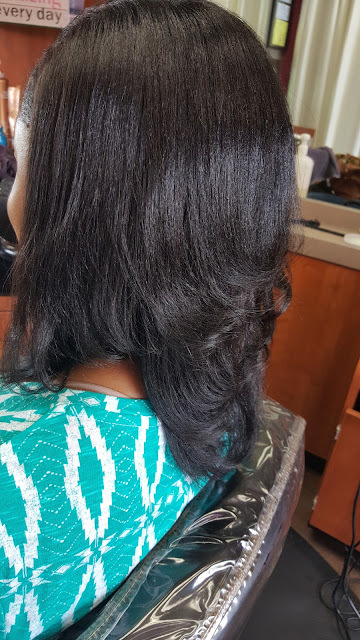 Reducing heat usage is one surefire way to increase length and the overall healthiness of the hair. So, let's get started! 1. Basic Wrap- The basic wrap is for women like me who like basic straight hair with a little bump on the ends. There is nothing special about how to wrap this. It is literally a "basic wrap" where you wrap the hair around your head, put the scarf on, and sleep like a newborn baby. 2. 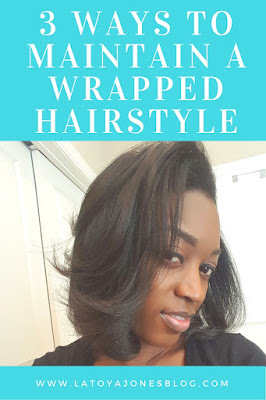 Half roller/half wrap- This method is where you would roll the crown of your head, then wrap the rest of the hair around. The point of this method is to give you a little height in the top of your head so that it will not be so flat. Also, if you have layers this method will make your layers show. This is a great method for giving your basic wrap a little more pizazz. And since you only wrap the crown, you can still sleep comfortably because the sides of the head and back will be flat wrapped. 3. All rollers- I know what you are thinking. How is rolling the hair a way to wrap it? Well technically it isn't, but if you use rollers after you have already set it in a wrapped hairstyle, the results can be gorgeous. What you would do is wear your hair wrapped for a few days, then start rolling it all over, loosely, with slightly larger rollers. This will give your wrap a lot more definition but not too much curl. Perfect if you don't mind sleeping in rollers. Check out the video as I show you in more detail all three methods.